Sentient Developments: Singer: Should this be the last generation? Singer: Should this be the last generation? 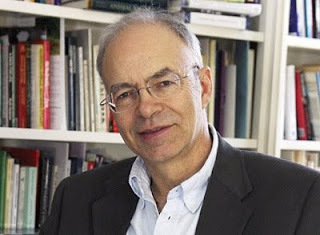 Philosopher and ethicist Peter Singer asks, is a world with people in it better than one without? Put aside what we do to other species — that’s a different issue. Let’s assume that the choice is between a world like ours and one with no sentient beings in it at all. And assume, too — here we have to get fictitious, as philosophers often do — that if we choose to bring about the world with no sentient beings at all, everyone will agree to do that. No one’s rights will be violated — at least, not the rights of any existing people. Can non-existent people have a right to come into existence? It's a moot point as a world without people is wasted without anyone to appreciate it.